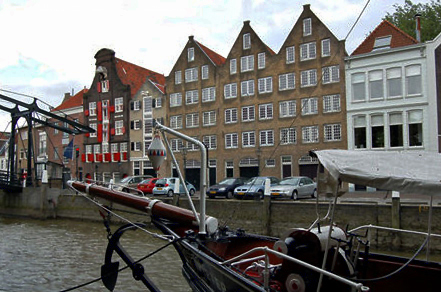 KCS Electronics assembly is located at the Kuipershaven in the historic center of Dordrecht in a characteristic harbor building (built around 1700). Behind this historic facade you will find a modern electronics manufacturing company. Following a long range of interviews and research, KCS decided in November 2016, to significantly modernize SMD production in collaboration with W&S. 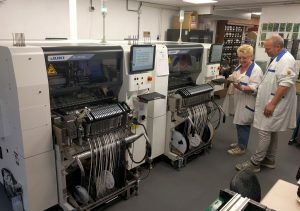 To achieve this goal, KCS decided to invest in assembly equipment, test equipment and a comprehensive software package to be able to produce the highest quality with maximum flexibility. 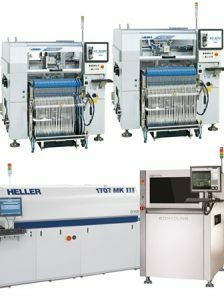 Juki Flexline KE3010 and KE3020 Pick & Place machines including matrix tray changer. Juki Intelligent Shopfloor software for control of the Pick & Place machines combined with the advanced intelligent feeder system IFS-NX. 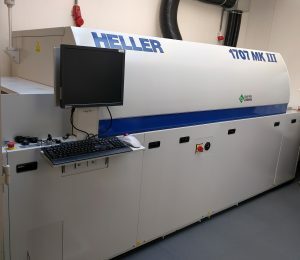 Heller 1707MKIII reflow oven with 7 zones on top and bottom side of the PCB. Koh Young Zenith 100% 3D measuring machine for AOI inspection. Siemens – Unicam NPI software for fast and error-free conversion of CAD and BOM data as provided by the customers. Even though at W&S we do have quiet some experience with interesting installations of equipment in special buildings, a 17th century canal house with all the constraints was an interesting project for us. 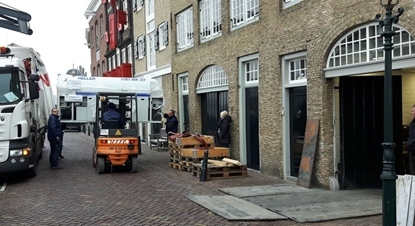 The free space between the front of the property and the (unshielded) water of the harbour was about eight meters, this was a nice challenge for the forktruck driver. Inside the building the production floor where the new equipment was going to be placed consisted of three different levels. Also this meant a big challenge for the movers. 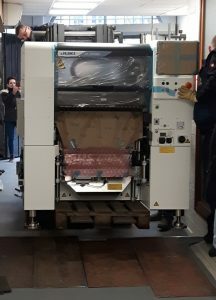 To get the reflow oven at the planned location, two height differences had to be bridged, and two door frames had to be temporarily removed. 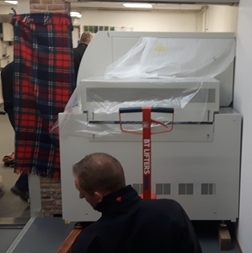 After these preparations we had an opening where the four meter long machine had to pass through with a clearance of less than 2 centimeters on the side. AT the location where the Pick & Place machines are placed, there used to be an indoor swimming pool. Before arrival this swimming pool was completely filled with hard foam, and covered with a top layer of concrete. After these preparations the surface was sufficiently stable for the very high precision Pick & Place machines. (At these moments we are very happy with the exceptionally stable frame of the Juki machines). Internal transport of the Juki machines was easy in comparison with the Heller oven. After transportation and installation of the oven and the pick & place machines, placing the Koh Young AOI machine was easy to accomplish. Thanks to the perfect collaboration between the highly professional movers, the (almost complete) KCS team and the W&S service team everything was in the right place within 2 business days and shortly after this KCS could start production with the new equipment. The Heller oven installed and running. Meanwhile, KCS employees are already getting used very well to the new equipment and many high quality products are produced every day. We wish KCS good luck and many years of worry-free production with the new equipment. W & S Benelux has managed to literally deliver a tailor made solution to KCS. and equipment functionality in a short period of time.